Up the river without a paddle. 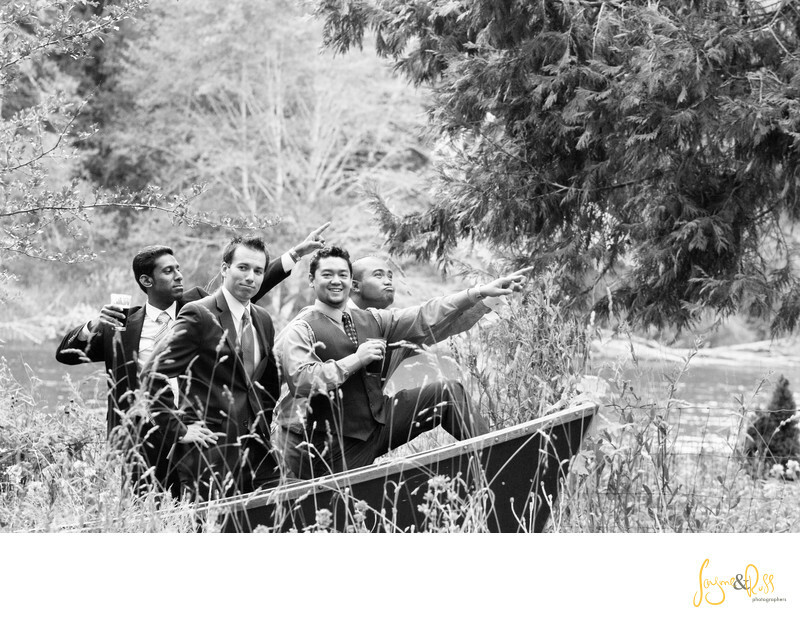 a group of guys from Halli & Chris's wedding at Eagle Rock Lodge have fun jumping in a boat for some crazy pictures. Location: Eagle Rock Lodge, Mckenzie River, Oregon.